post: Thank you for racing SoCalCross! Super Prestigious Worlds Gravel Ride! post: Happy Holidays! SoCalCross Fever is ON in 2019! SoCalCross Fever Series January 2019! Kick-off at Irvine Lake in the OC! 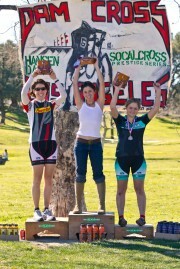 post: SoCalCross Prestige Series Standings! Post your Photo of the Week! Series Standings Best 8 in the Series races win! 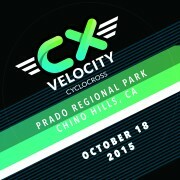 post: SoCalCross SCPS 6/7: Mo Val CXC Weekend! 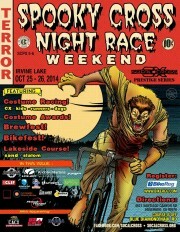 Halloween themed racing at Lake Casitas Recreation Area November 3rd and 4th! post: Super fun season CX Skills Race & Celebration! Join us Sunday 10/7 at Bike San Gabriel Valley Bike Park in El Monte! 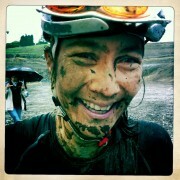 Fun times we have a great morning of Bike Park & CX Skills brewing starting with Coffee N Chaos! 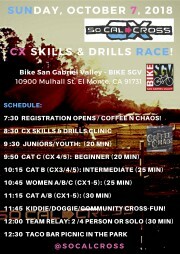 Join us tomorrow, Sunday 10/7 for SoCalCross – CX Skills Park & Races at Bike SGV El Monte! post: Spring flings SoCalCross into new adventures! Kiddie Cross, LA Roubaix Gravel Adventure, Metro BEST Donuts to Daisies Ride! 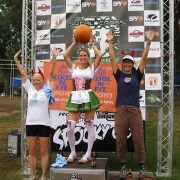 post: Race Report: SCPS 3/4: Spooky Cross-itas! Pumpkins and more! 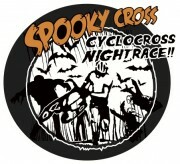 Spooky Cross heads to Ventura at Lake Casitas! Are you ready??? 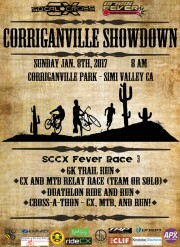 CX2017 begins with SoCalCross Fever #3: Corriganville CX-XC Showdown! Late season WINTER CX and more! SoCalCross Fever Kick-Off Weekend: Nor Cal vs So Cal Showdown: California State Championship SHOWTIME! 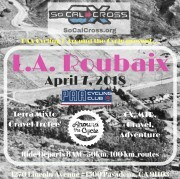 Complete details at: www.SamBarn.com Also save the date for the SoCalCross Fever Series – late season CX! post: DECEMBER is CHAMPIONSHIP TIME at SoCalCross! Kicking off with CACX Championship Weekend! Greek Theatre at Griffith Park! post: Spooky Cross is here! post: CROSS is HERE! 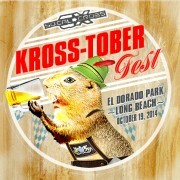 Krosstoberfest Sunday October 2nd! San Diego, G2, Glendale, Fullerton and more! 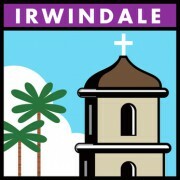 post: 626CX Golden Streets Irwindale Hub CYCLO-FEST! 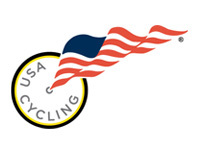 City Cross Omnium and Golden Streets Grinder Ride headliners! 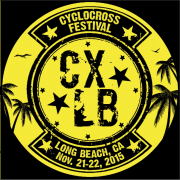 post: UCI CXLA Weekend: LONG BEACH-LBC! Epic CX action at the BEACH! post: SoCalCross is Coming… September 27th! Happy Hour Tour! post: Latest NEWS at SoCalCross! SAVE $ WITH SEASON PASSES: ON SALE NOW! post: SoCalCross FEVER & SEASON FINALE! post: CX NATIONALS ARE HERE! Nor Cal vs So Cal…the race is ON! post: LATEST SOCALCROSS NEWS: It’s a New Series for a New Year! post: CXLA Cross After Dark Weekend Report! post: Happy Turkey Day and don’t miss… CXLA Weekend! 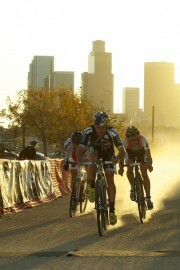 UCI CXLA Cross After Dark coming to Los Angeles State Historic Park 11.30 to 12.1! post: RACE REPORT: Udo Cross! 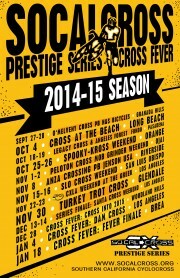 post: El Monte RV Partners with SoCalCross 2013-14 Season! We want to welcome El Monte RV as our Travel Partner for the 2013-14 SoCalCross Season providing package discounts for our racers! Check it out! post: PRESTIGE SERIES One Third Down… SLO to go! PRESENTED BY VOLER TEAM APPAREL! post: SCPS#1: RACE REPORT CX Season Kicks Off with Rally ‘Cross! post: The 2013 SoCalCross Happy Hour Tour Rolls On! Nicole Duke & Ben Berden guests of honor in LA! post: Thanks for racing this epic 2012-13 season @SoCalCross! Time to select the Best of SoCalCross! post: SoCalCross – The final stretch home. The UCI CXLA Weekend complete, the Series turns SoCalCrossers North to Los Olivos and San Luis Obispo. post: CXLA WEEKEND DAY 1: UCI CROSS AFTER DARK FINALE! The UCI Elite Racing hosts first ever JUNIOR Men's elite race in SoCal and Cross After Dark Finale elite men and women! PACIFICA CROSSFEST presented by Newbury Park Bike Shop! post: Happy Holidays to All! post: SCPS #18: Santa Cross Sunday! Holiday themed Prestige Series action! post: Hart Park Cyclocross previews Showdown in January! 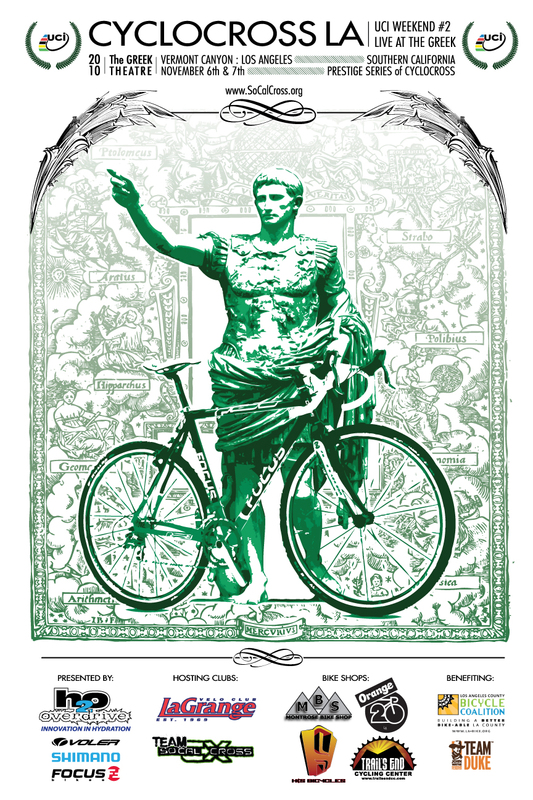 Race, Recreate, Advocate... the bicycle! Eary Registration Packet Pick up - Golden Saddle Cyclery! Happy Hour - Friday 6pm-8pm. post: SoCalCross NORTH double the fun! The Prestige Series headed North to Los Olivos and San Luis Obispo! 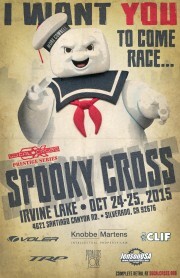 post: Announcing UCI Spooky Cross Weekend! TWO DAYS OF WORLD-CLASS CYCLOCROSS RACING AND LOADS OF FUN! DTLA Historic Cyclo-fest kicks off the season! 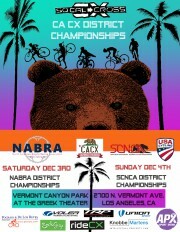 post: Introducing the 2011-12 Southern California Cyclocross SEASON!!! Here is the action packed 17-week season from San Diego to San Luis Obispo! 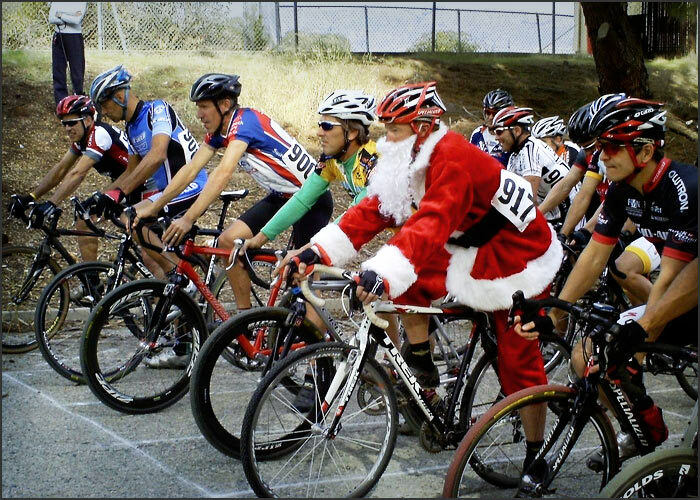 post: Now that CX is over, it’s time to race! post: SoCalCross 2010-11 Season Complete! 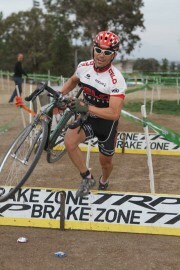 LATEST SOCALCROSS UPDATE: Coming January 9th 2011! post: Santa Cross… a mud-fest celebration! post: Prestige Series Finale – Santa Cross expecting mud and rain! Bring your BBQ, Best Brew, Warm portable shower, Bucket and scrub brush! Who's got the hotub??? post: 25 District Champions crowned at the Gene Galindo Memorial Turkey Trot Cross! 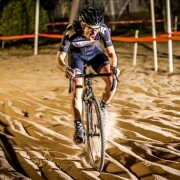 Long Beach and Cambria bring new racers and CX pride! 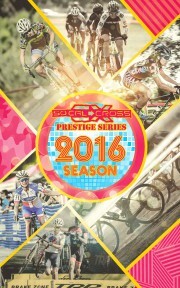 SoCalCross Prestige Series takes center stage this weekend bringing you some of the best talent from around the country and the best in California! Join us for this magical weekend in the magical setting of Vermont Canyon at the Greek Theatre in Griffith Park. post: Fastest Growing Fields… literally! Our Juniors!